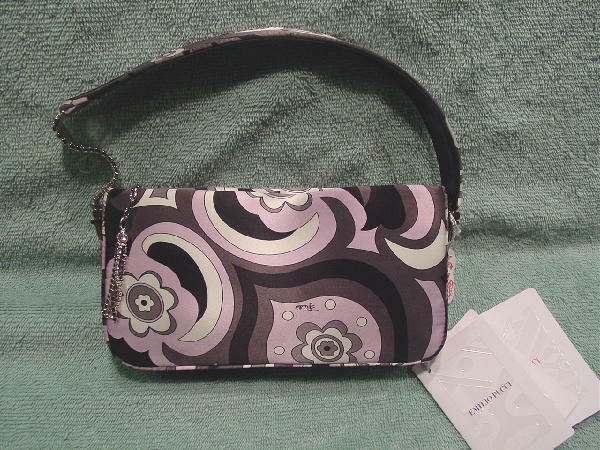 This never-used 100% silk purse was made in Italy by Emilio Pucci. It's in black, gray, white, and pale pinkish-lavender. 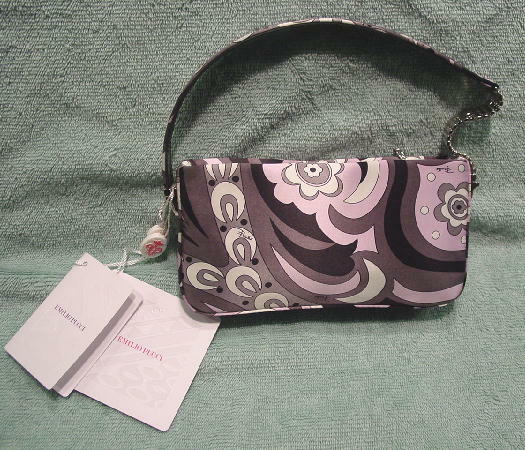 It has a top side to side zipper and the zipper pull has an 8 link silver-tone chain with a larger top rhinestone and 4 strands of smaller rhinestones. 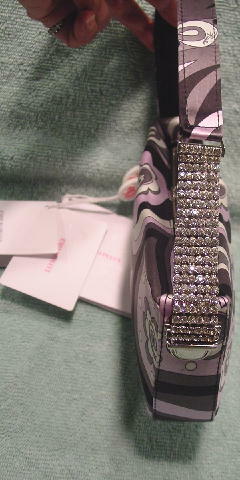 There is a 15 1/4" long by 7/8" wide strap with a 3 5/8" rhinestone strip at one end (which really sparkles), and the rest of the strap has a silk top and black patent leather backing. The strap has faux silver-tone ends. 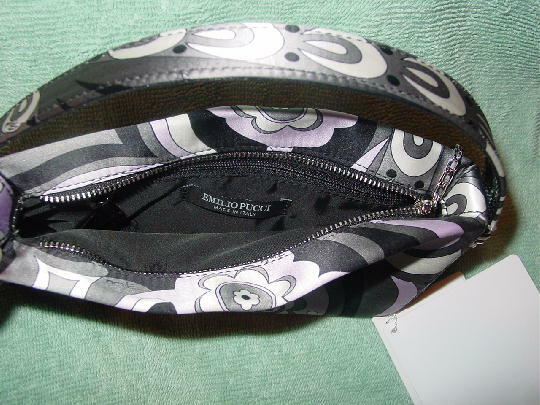 It has a black lining with an interior zippered pocket and a black loop strip with Emilio Pucci Made in Italy in white letters on it. There are 2 Pucci tags still attached to the strap. It also has its own white fabric bag. A model sold it because she needed the money.